Amanda West - Words and Music: New Album Release "Emotional Sushi"
New Album Release "Emotional Sushi"
Last week I released my first album containing songs that all use my lyrics ! I have had cuts on other artist's albums and EPs, but I thought it would be fun, and good for promotion, if I created an album with some of my songs written for tv and film. Hence the title, Emotional Sushi, as songs for tv have to convey a strong emotion in order to increase the emotion in a scene. Many of these songs have featured in TV shows already, including NBC's Golf Channel. 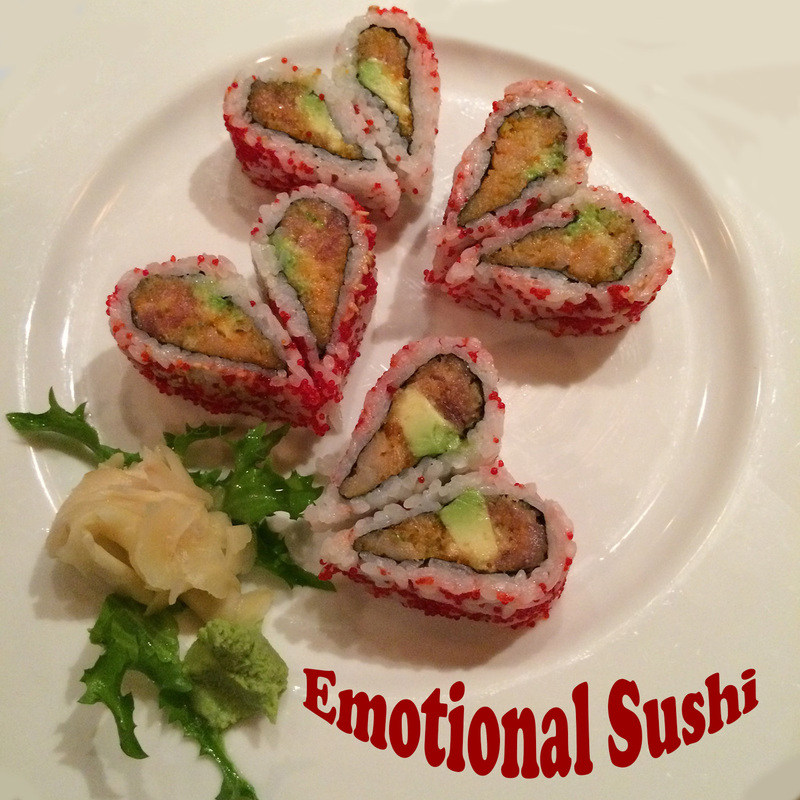 Emotional Sushi is available to download from cdbaby, iTunes, Amazon and many more. You can also stream it on Spotify, Deezer, Apple Music etc. I will have a hard copy CD available in the very near future, which will be for sale on Amazon. All the songs are available to license, easily and with no fuss. Track 3 "No More Being Nice" is courtesy of Black Toast Music, California. Artists: Future Kings Of Denmark, Bamtone, Robbie Hancock, Steve Collom, Steven Wesley Guiles, Louise Goldberg, Bob Porri, Ethan Okamura, Nathan Nasby, Rob Carroll, Jeff Brown. Songwriters: Amanda West, Steven Wesley Guiles, Briand Melanson, Robbie Hancock, Bob Porri, Louise Goldberg, Dave Walton, Steve Collom, Ethan Okamura, Nathan Nasby, Rob Carroll, Jeff Brown.